2 Why Use Reflectors At All? 5 What Makes One Reflector Better Than Another? 6 What Type of Reflective Material To Get? But you have no grow light reflector or hood. And you don’t know how to choose the right one. It’s one thing to have a well-optimized system with great lighting, and it’s another to use that light effectively. 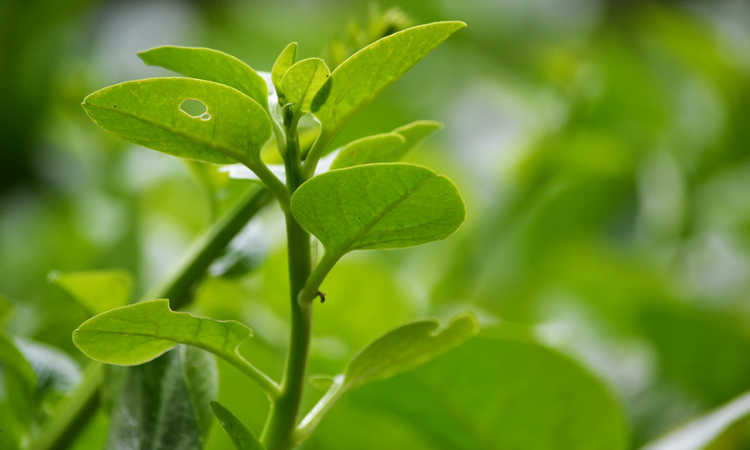 Growing with the wrong reflector — or worse, without a reflector at all — is sacrificing crop yield. No one wants that! The grow light reflector world is complex and there’s a lot of misinformation out there, because there are a million and one companies that are trying to sell them to you. 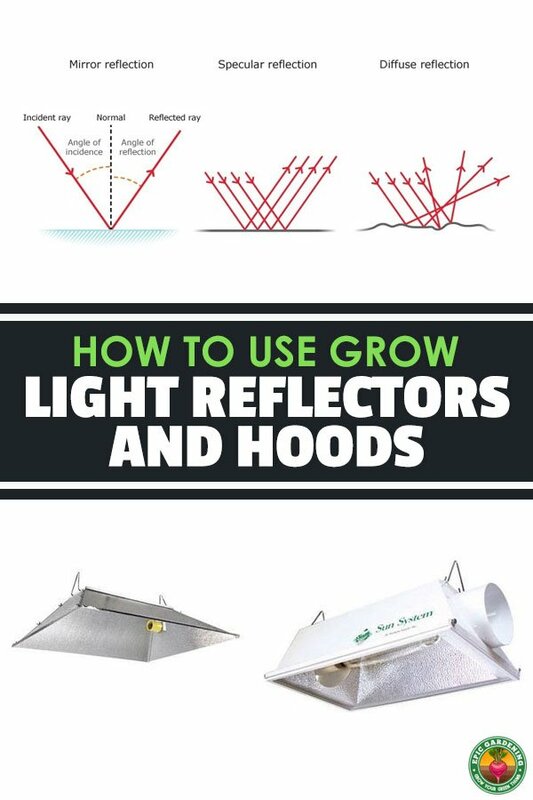 What you’re going to get in this article is a comprehensive guide on everything you need to know before you make a reflector or hood purchase for your garden. 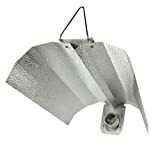 Reflectors come in different types: open, air-cooled, adjustable, and double-ended lamp specific types. 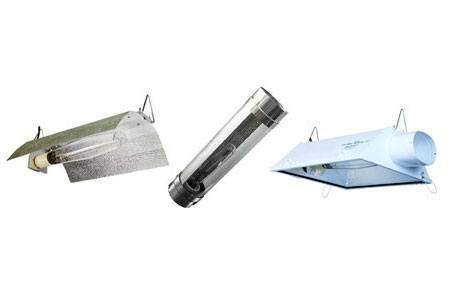 Just some of the different types of grow light reflectors. Each of these type and shape combinations will reflect a different footprint of light, from wide and less intense to tightly focused in both area and intensity. As if that wasn’t complicated enough, grow light reflector manufacturers use many different types of reflective materials, each of which have their own unique benefits and downsides. You’re probably wondering, “Well, which combination is best?” It’s a hard question to answer. Unlike other hydroponics supplies, there is no one best reflector. Your growing environment, needs, and situation are unique, meaning your reflector purchase has to be as well. However, this guide should give you all of the tools you need to make the right purchase for your garden. Why Use Reflectors At All? To understand the importance of a grow light reflector, let’s imagine what your garden would look like without one. This means you’d be using a light and nothing else. Depending one which type of hydroponic lighting you choose, you would be sending half of the light emitted from your lights straight up into the air, where they would be bouncing around off of your ceilings and walls, effectively wasting it. Now let’s imagine you add a reflector to your light. Now, all (or at least most, more on that later) of that wasted light is being redirected down towards your plant canopy, instantly adding efficiency to your garden. ​When your grow light emits photons, those photons travel in a straight line until they hit something — in this case, that something is your grow light reflector. More specifically, they are hitting the reflective surface of your reflector. At this point, we need to talk about that reflective surface. You can get reflectors with either polished, smooth reflective surfaces or ones with mottled, dimpled reflective surfaces. If you purchase a reflector with a polished surface, then the photons emitted from your grow light will obey what is known as the law of reflection​. If you purchase one with a dimpled surface, then the light will bounce in many directions. Both of these types of surfaces should have as high of a reflection index as possible. 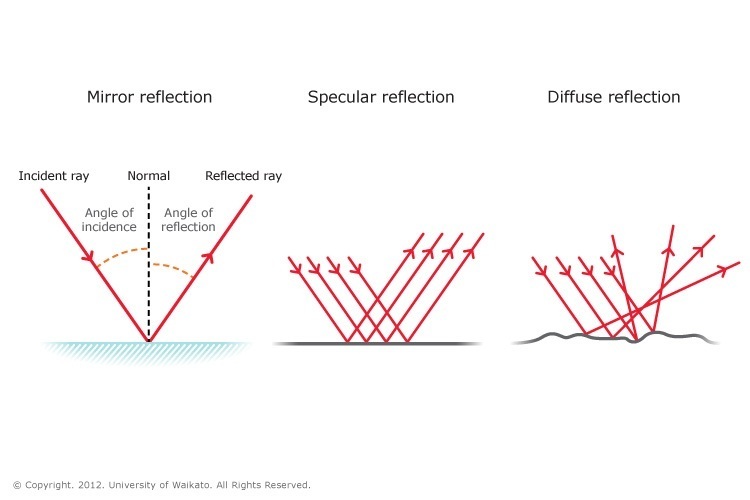 The reflection index indicates how much of the light energy is lost to heat when photons hit the surface of your reflector. Imagine you have a reflector that reflects 97% of light. Every time a photon bounces off of it, 3% of the energy is lost to heat. 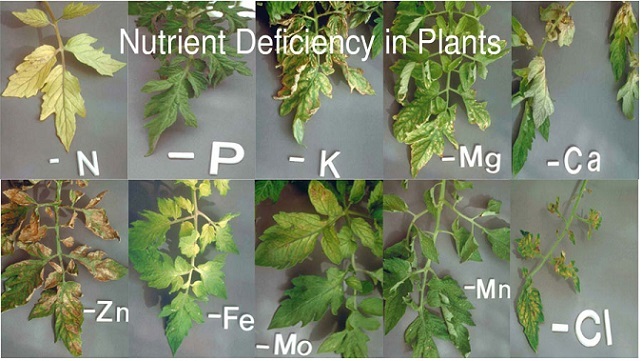 So it’s easy to see why you would want to minimize the number of bounces your light has to make before it hits the surface of your plants. Speaking of the energy lost to heat…guess where it goes? That’s right. Your growing environment, where it will heat up your grow room temperature. Open vs. Air Cooled Reflectors. This is where we get to the two major types of grow light reflectors — open and air cooled. 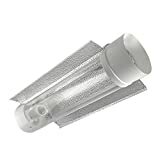 Open reflectors are shaped in a way that both reflects as much light as possible down to your plants, but also ducts excess heat upwards where it can be vented out of the room via fans or other methods. Closed, air-cooled reflectors have a glass sheet on the bottom of the reflector and cool air flowing through from one side to the other, where it is then pumped out of the room. 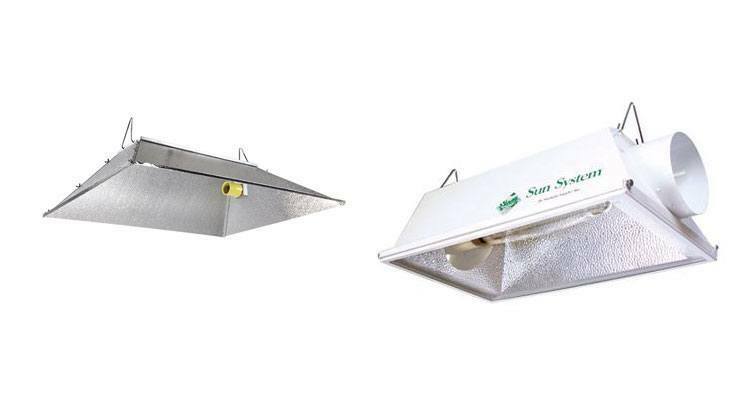 Air cooled reflectors come into their own when growing heat sensitive crops in confined spaces. What Makes One Reflector Better Than Another? While there are many ​factors at play, the best way to measure your hydroponic light reflector is going to be its uniformity. 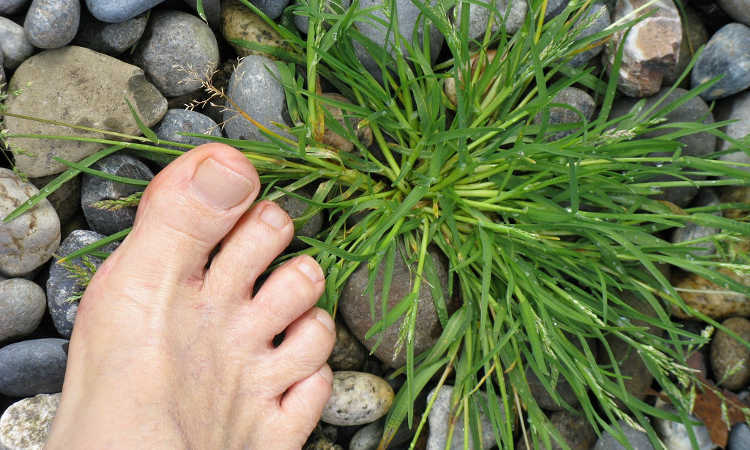 Simply put, how good is your reflector at creating a light footprint that is evenly distributed? The last thing you want your reflector to do is create a “hot spot” or pocket of light that is more intense than other areas in the garden. This is not good, because the hot spot will determine how far away you can place your lights from the surface of your plants. One way to solve hot spot problems is to use the mottled or dimpled reflector surfaces we talked about above. These surfaces are built to diffuse light so the photos are approaching your plants from more angles than they would if you used a polished surface reflector.​ If you buy a reflector with a surface meant to diffuse light, be aware that they come in deep, medium, or wide varieties. What Type of Reflective Material To Get? If you’ve decided on the shape and type of reflector you want, you still have one more decision to make: what type of reflective material to use. The lowest-end stuff you can buy is oxidized aluminum, which comes in at around 70% on the refractive index. The next level up is anodized aluminum, coming in at around 85%. 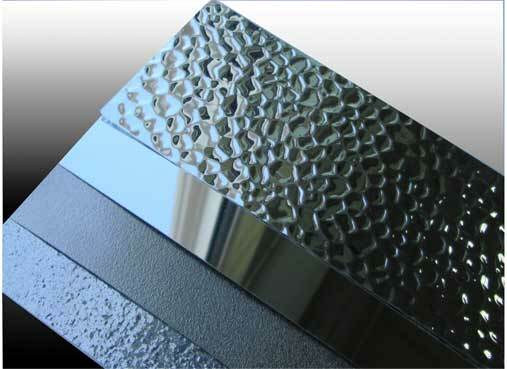 However, if you buy budget anodized aluminum reflectors you may find the surface degrading quickly. The highest-end reflective material you can get right now is known as physical vapor deposition (PVD) aluminum. Going with PVD aluminum will boost the reflective index up to over 95%, which is an incredible difference compared to the 70% range that low-end materials provide. In the end, the choice is up to you: how much of your light do you want to waste? Keep in mind that no matter what material you purchase, cleaning and caring for your reflector often is the only way you’re ever going to get the true maximum reflection out of it. Even the best materials won’t reflect well if they’re dirty! *We go in-depth on each of these tools below. But you can click the links above to check out pricing or read reviews from other customers on Amazon. These open air reflectors have become very popular with hydroponic gardeners the world over. This is because they’re able to be adjusted to deep, medium, or wide simply by pulling the wings in or out. The dimpled reflective material has a refractive index of 95%, which is one of the highest you can find without paying exorbitant prices. While it isn’t rock bottom as far as cost, it’s reasonably priced for the quality and flexibility it offers. The Sun System Blockbuster is an enclosed, air-cooled reflector that has become very popular. 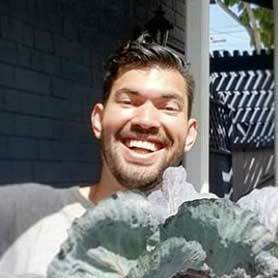 First of all, Sun System is one of the more reputable companies in the hydroponics industry, so their name lends a lot of crediblity to the product right out of the gate. But that’s not what’s most important. This reflector is great if you’re growing in square-ish shaped areas that need a uniform distribution of light. It’s quite an intense pattern, so be sure that you’re placing this one at the right height for your plants. Like the Adjust-A-Wing, it’s made of a textured 95% refraction material, so you’re not losing much of your light to heat. A great choice if you’re in small space as well, as the air-cooled setup will vent air without heating up your room as much. Dimension: 16" x 15" x 4.5"
The Apollo Gullwing is a budget version of the Adjust-A-Wing series, offering less flexibility and performance for a cheaper price. While it is still adjustable, it’s not built with that in mind from the start so it may be more difficult to do. On top of that, the uniformity and intensity are simply worse than higher-quality open reflectors like those from Adjust-A-Wing. These are a great option if you want to go budget with your reflector. The iPower Littlesun is a great budget option for an air-cooled tube reflector. 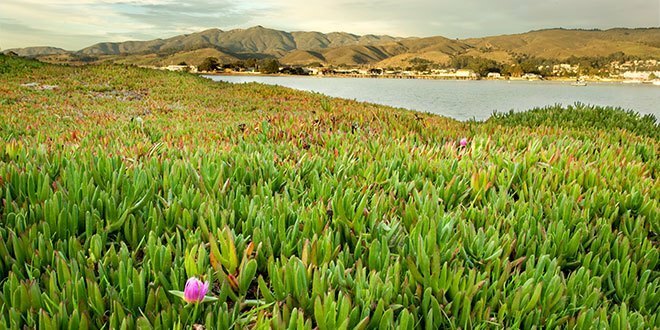 The benefit of this design is that you can use it in both horizontal and vertical gardens. The reflective capabilities are simply worse than the higher-end reflectors, but this comes in at a price that may make purchasing more than one a good option to make up for it and gain some flexibility on placement along the way. Choosing a reflector is an important decision. If you’ve invested a lot into your lights, it makes sense to shell out just a bit of extra dough to purchase a reflector that will allow you to utilize as much of your lights as possible.